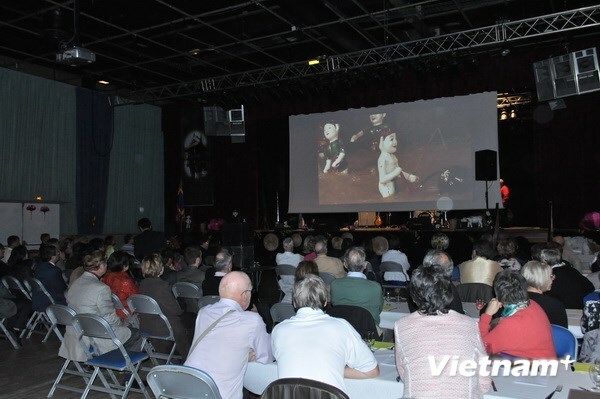 The Vietnamese culture was the highlight of a gala dinner held by the France-Vietnam Friendship Association (Le Liseron) in Carrieres Sous-Poissy city on Novbber 15th on the occasion of the association’s 15th founding anniversary. Set up in 1999, Le Liseron, which means Rau Muong – a common type of vegetable in Vietnam, now comprises approximately 500 mbbers. It has raised hundreds of thousands of EUR to build houses, provide free surgeries and present scholarships to disadvantaged people in Vietnam’s central and Central Highlands regions like Khanh Hoa, Lam Dong, Nghe An and Ha Tinh provinces. The Lien Viet Association, formed in 2010, has around 100 mbbers./.